If you’re a lover of charcoal-grilled meat but always manage to burn your dish a tad too much to eat it, then our best BBQ cooking classes in NYC are for you. With Spring upon us, it is time to start taking the BBQ out and clean it before proudly inviting your friends, neighbors and family to share the first BBQ of the year, under a shy sun. However, when handing out your invitations, you realized that the faces of the invited slightly fell at the thought of eating your badly burn… your tender meat. So, you decided to join a BBQ class to show everyone what an exceptional chef you are. At this point, you realized how large the offer is on the vast expands of the Internet and you have no idea which class to choose from. Fear not, this is where we come in. From the type of meat to barbecue to who’s giving the lessons and how much it cost, we browsed hundreds of offered classes in NYC in order to compare which ones were the best. We also checked the commentaries of the classes we thought were interesting to make sure previous students got their money worth out of the experience. Finally, we checked the companies offering the classes, like Home Cooking NewYork and Craftsy. We also tried to keep the ratio cost/quality on the downside and targeted cooking classes that are sold on the websites around $100 (although, beware of taxes, the total amount might be different). If you never had BBQ in your life or are a BBQ gourmet, there is this special event happening on the 8th of April: the NYC BBQ Cookoff 2017. It will happen on Staten Island and you will be able to watch BBQ teams face off to offer you the best-barbecued meat of all times. It might even give you ideas on how to cook your meat, what sides to serve it with apart from the traditional salad or coleslaw. You might even learn a few tips on barbecuing meat properly. Next year, your friends and family will be the ones to ask you to take out the BBQ at the first ray of spring’s sun. If you want to expand your horizon beyond BBQ classes, don’t forget to check out our article about 25 Free Classes in NYC for Adults. Apart from BBQ cooking, if you wish to learn how to cook, there are plenty of classes in New York City which allow you to do just that, from beginners to more experienced cooks. You can even do this activity as a couple. 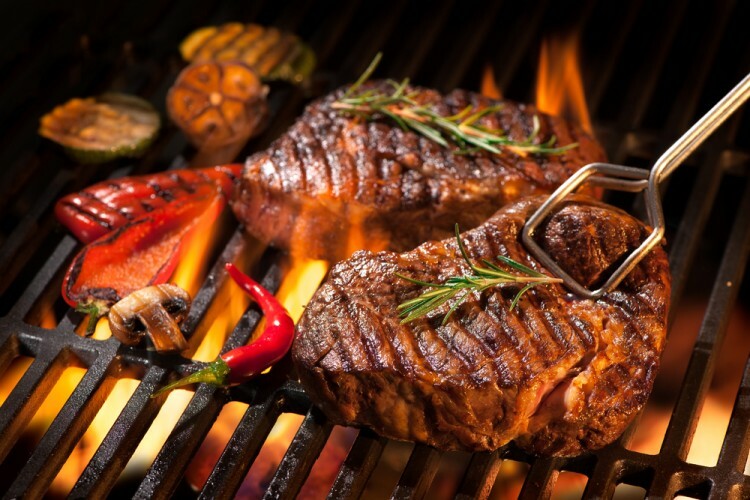 There is nothing more romantic than cooking together a nice home meal…And now, let’s see the list of best BBQ cooking classes in NYC.